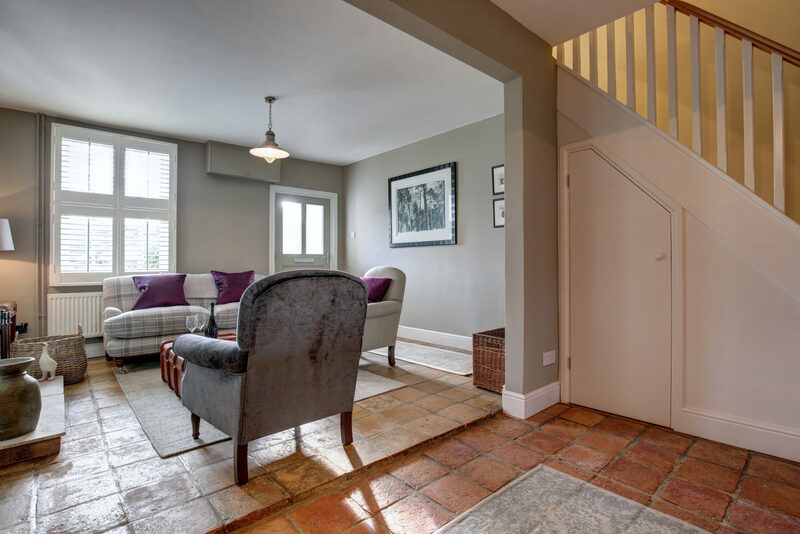 This traditional coastal cottage has been beautifully re-furbished and modernised to provide a luxury coastal retreat. 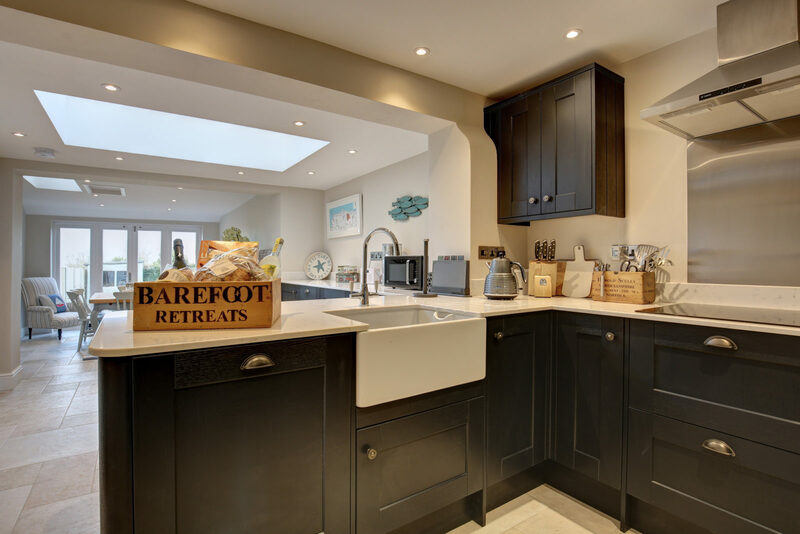 Set in the village of Brancaster Staithe, you are well positioned to explore the stunning North Norfolk coast, or ditch the car and make the most of the amenities on your doorstep. 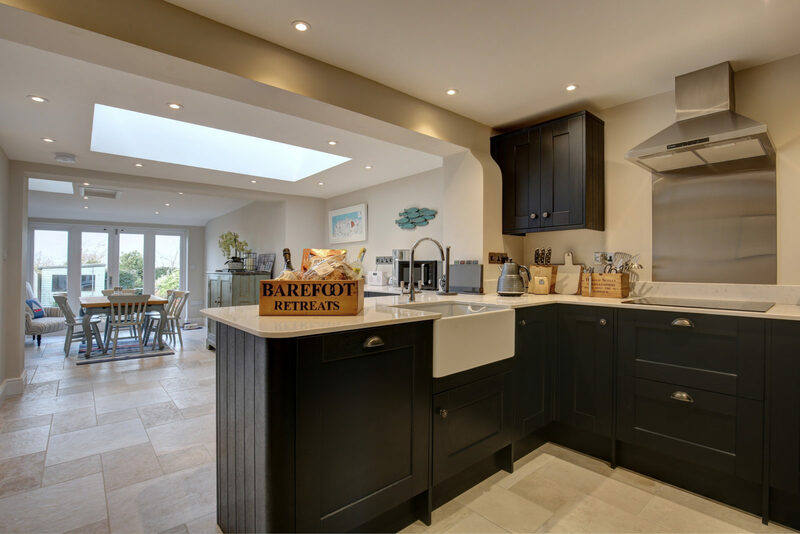 For the foodies among the group you are located almost opposite the popular Jolly Sailors pub and within walking distance of the award-winning White Horse restaurant and Deepdale Café in the adjoining village of Burnham Deepdale. Here you will also find a selection of shops and a petrol station making up Deepdale Market. 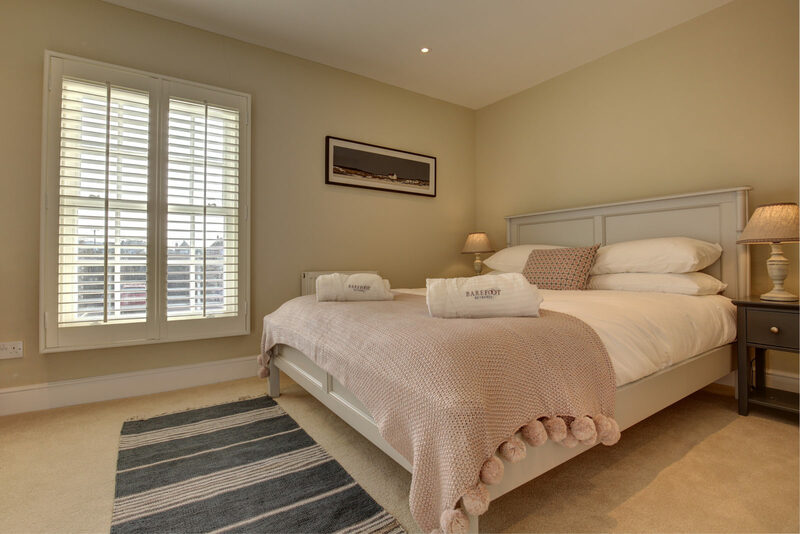 You are also within walking distance of the harbour where you will find the coastal path for stunning walks, sailing facilities, the Fish Shed where you can buy freshly caught seafood and the children can spend endless hours crabbing from the harbour wall. The expansive sandy beach at Brancaster is also just 2 miles away. 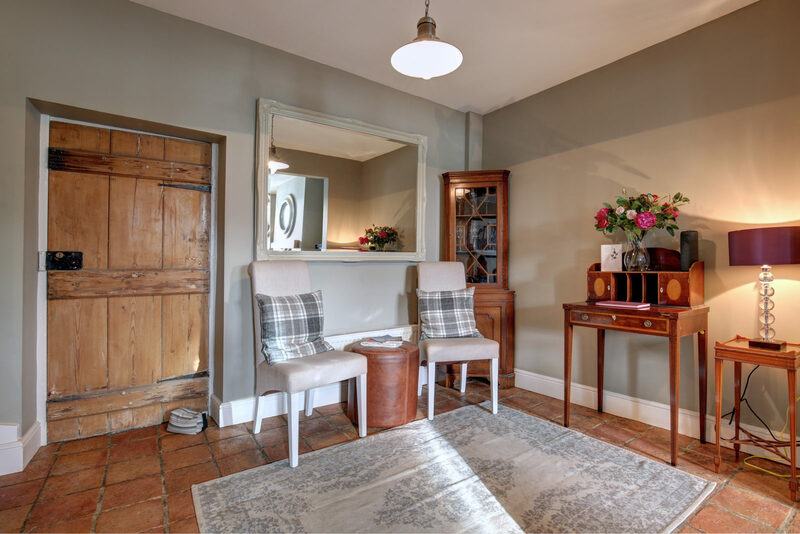 Upon entering the property, you are immediately welcomed into the stylish living room where there is plenty of hanging space for your coats and storage for your boots and shoes. 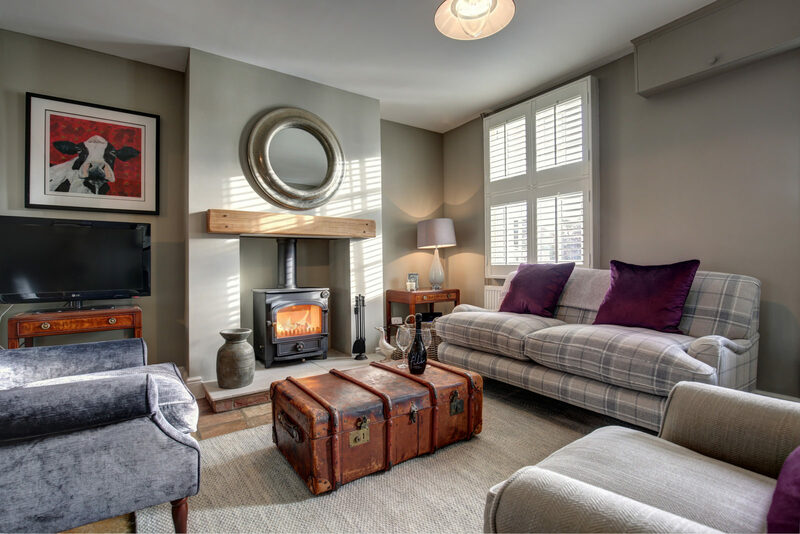 This room has been well designed and has a modern yet rustic/traditional feel to it. 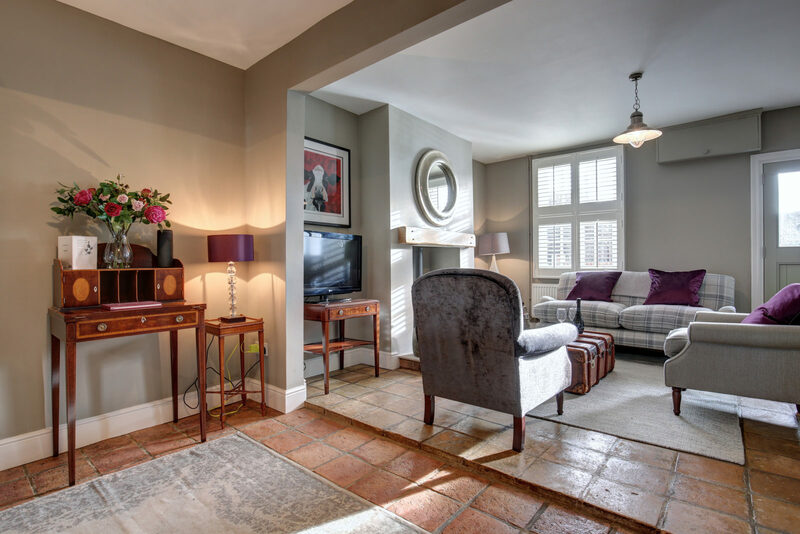 With original pamment tiled floor, a unique vintage leather chest cleverly used as a coffee table and pieces of antique furniture mixed with beautiful contemporary furnishings. 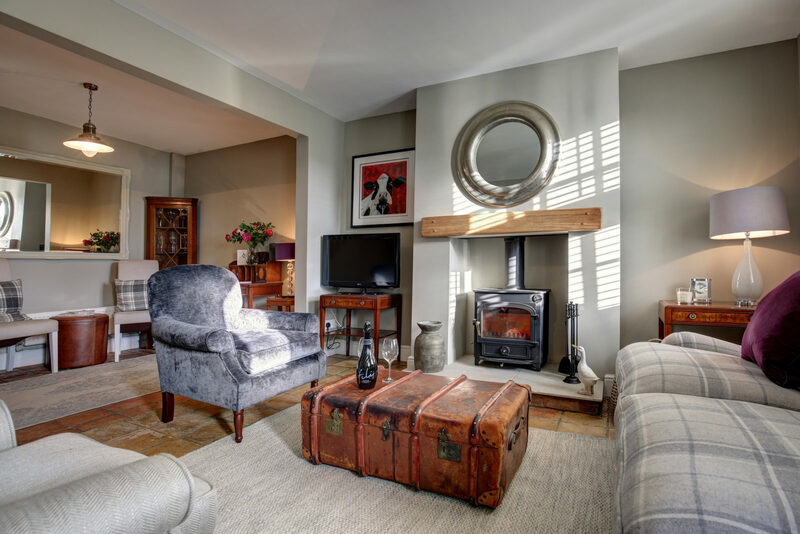 There is comfortable seating focused around the cosy wood burner consisting of one sofa and two arm chairs, plus a separate reading area with relaxed seating for two. 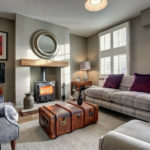 The Freeview TV is centrally located and there are a selection of games and puzzles available in the leather chest to provide some family entertainment. There is also a utility cupboard under the stairs. 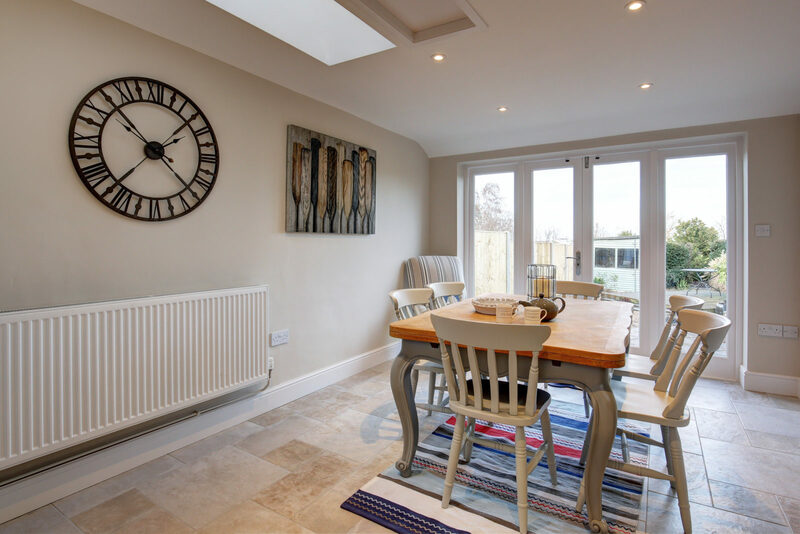 As you head through to the rear of the house you will come into the large open plan modern kitchen and dining area. 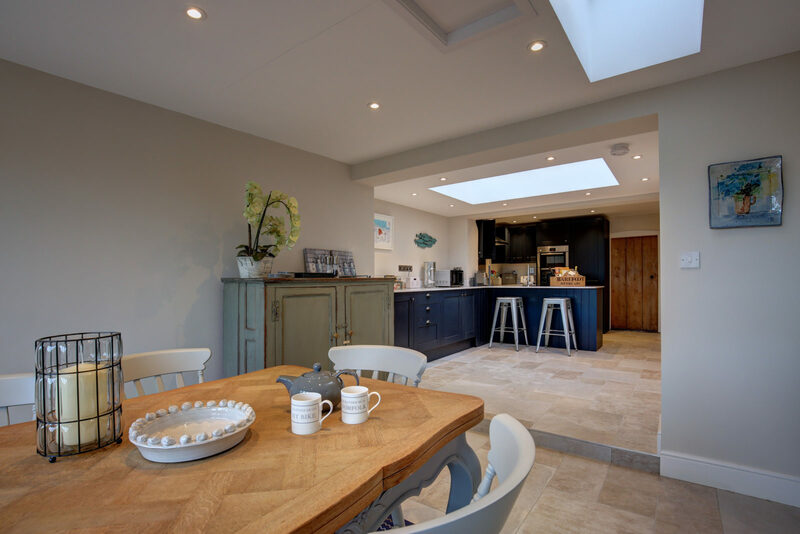 The central lantern roof and large French doors make this room beautifully light and spacious. 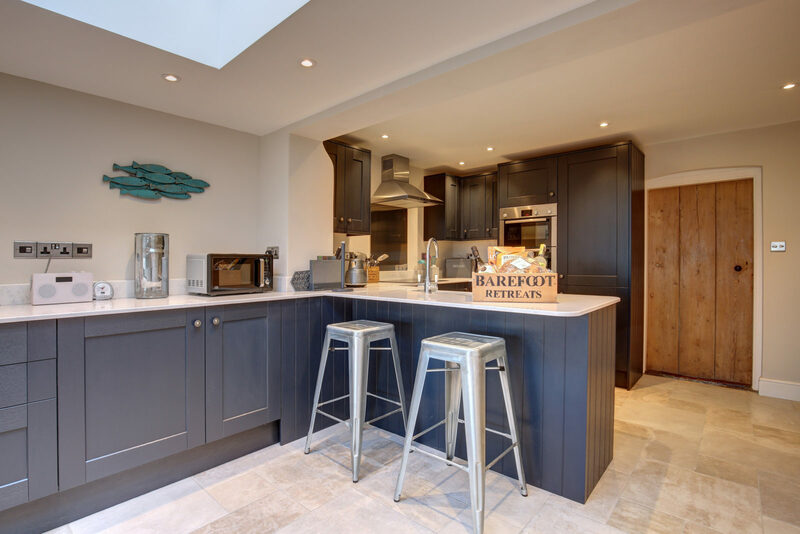 The contemporary kitchen has luxury marble worktops and is well-equipped with an oven and separate grill, hob, dishwasher, microwave, kettle, toaster, washing machine and tumble dryer. 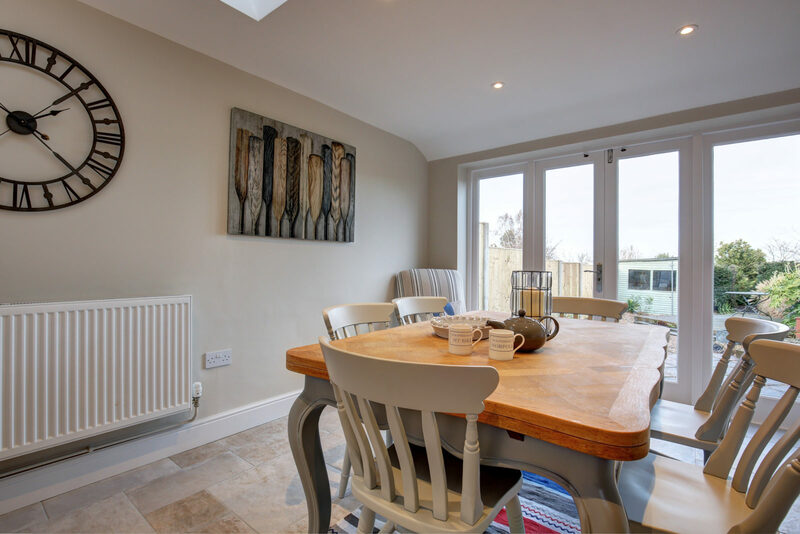 The dining area is beautifully furnished and overlooks the rear garden. The dining table comfortably seats six and can be further extended if required. 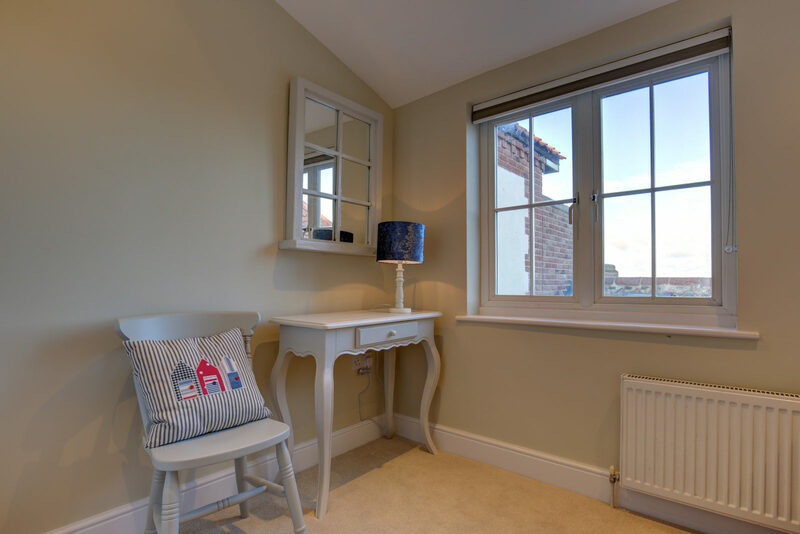 The French doors open out into the garden – perfect in the summer to let in the fresh sea air! 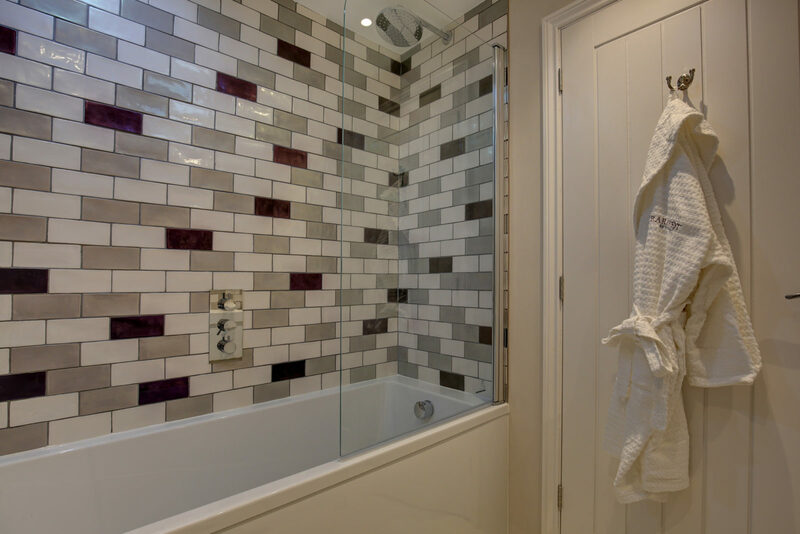 There is also a ground floor shower room just off the kitchen. 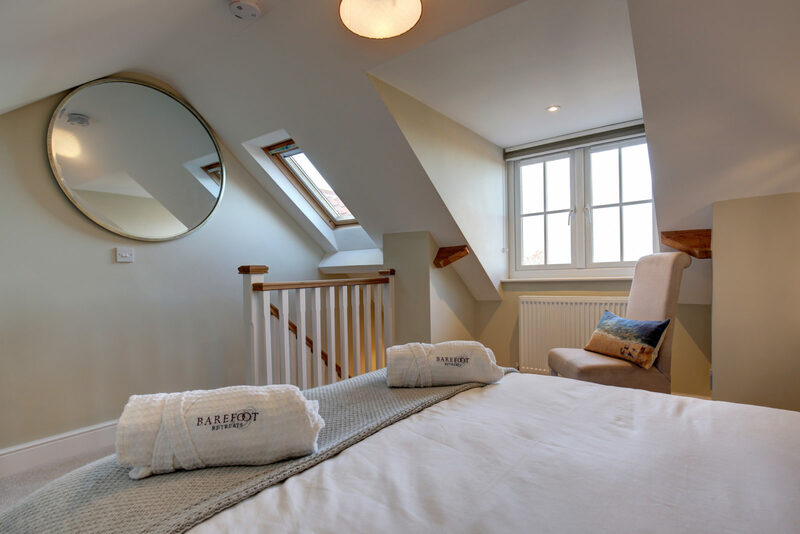 There are three bedrooms set over two floors. 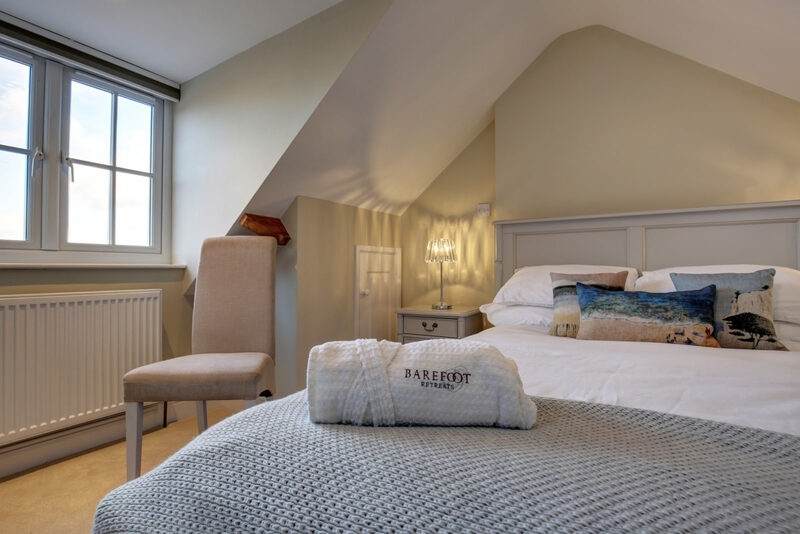 Bedroom 1: set on the first floor and overlooking the front of the property. 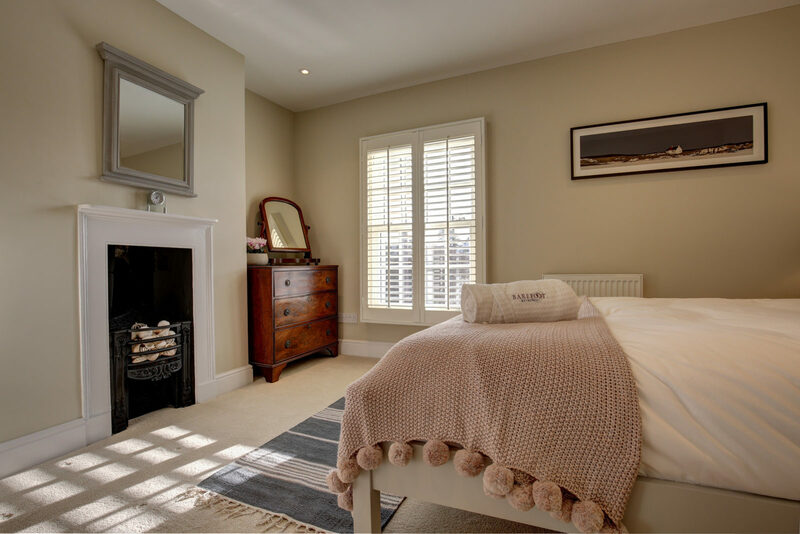 This charming bedroom features a king size bed, built-in wardrobe, antique chest of drawers and a traditional feature fire place. 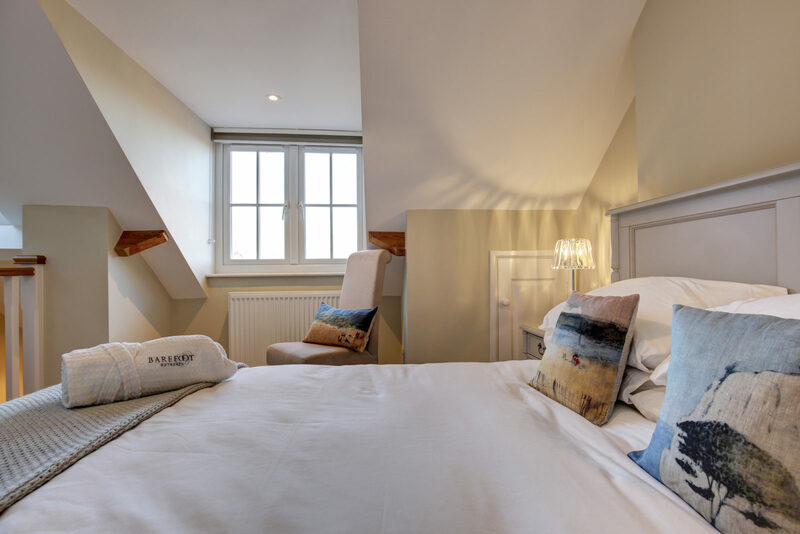 Bedroom 2: overlooking the rear of the property with views across the creeks and salt marshes, this first-floor twin bedroom has a coastal theme and features a built-in wardrobe. 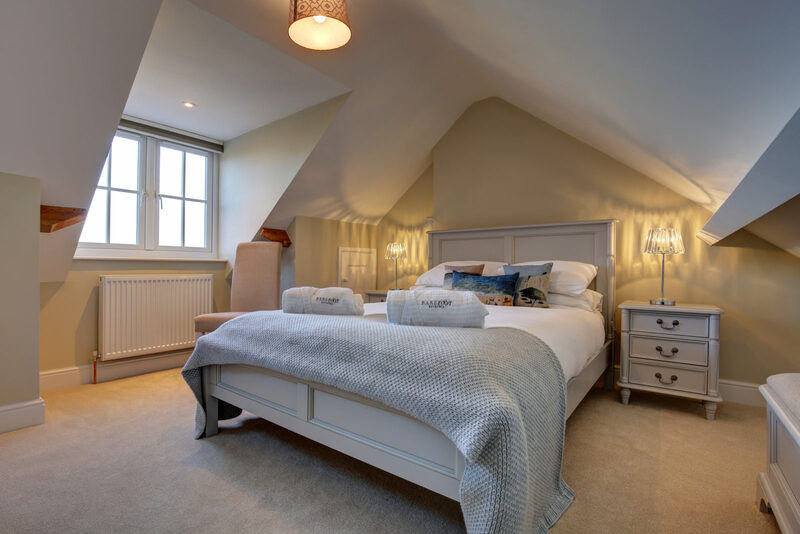 Bedroom 3: located on the second floor and set in the eaves of the house with views across the creeks, salt marshes and out to sea. 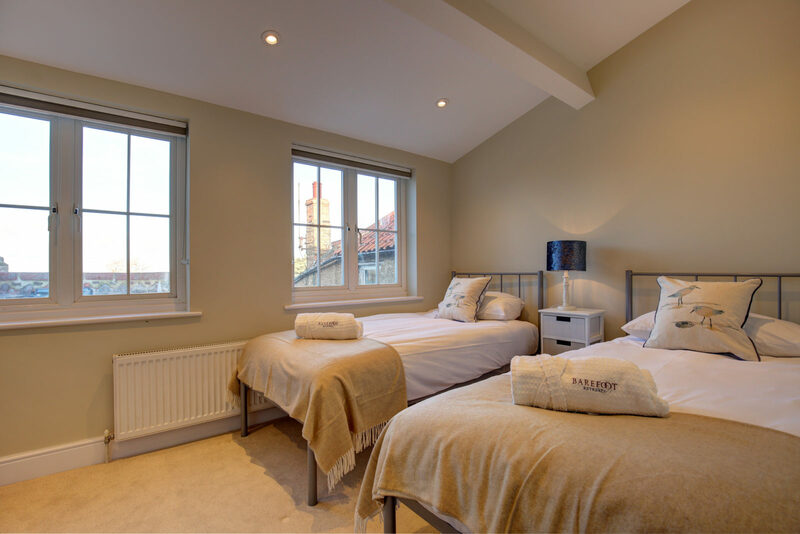 Elegantly furnished with Laura Ashley furniture featuring a double bed, hanging rail and an ottoman storage chest. There is a ground floor shower room set just off the kitchen. 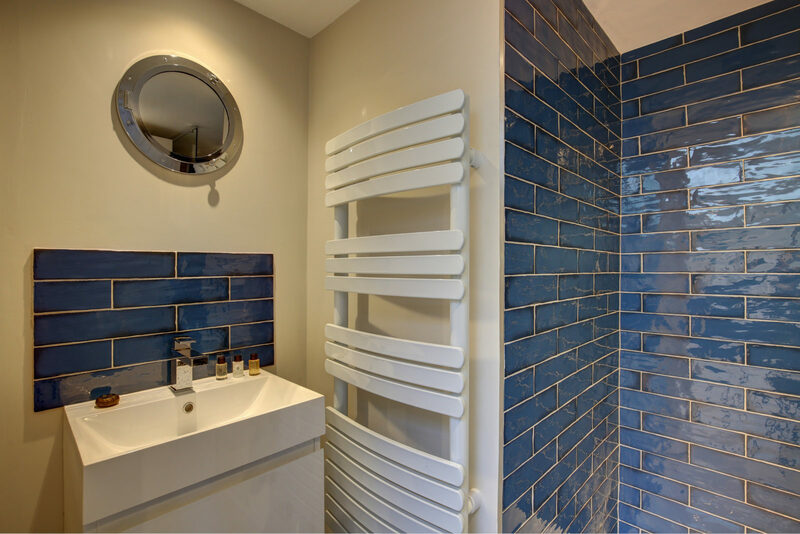 Decorated with beautiful blue tiles with a large walk-in shower (where you have the choice of a relaxing rain effect shower or an invigorating power shower), sink, WC and heated towel rail. 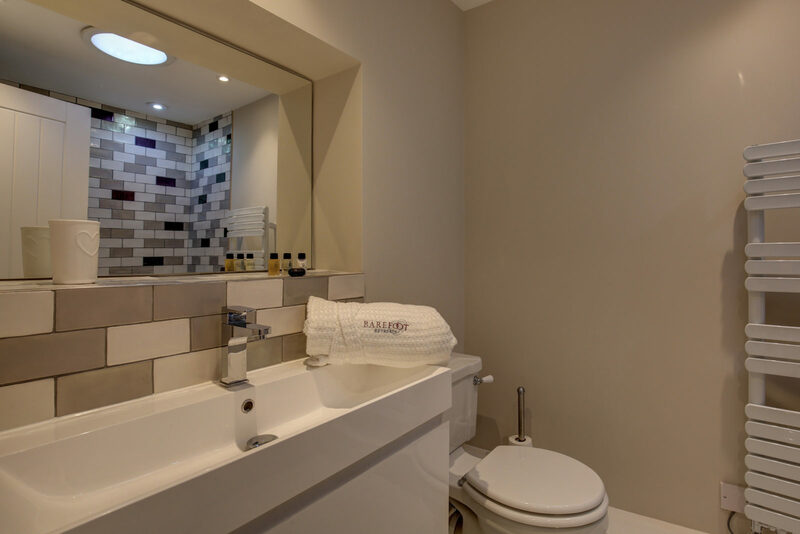 The family bathroom is located on the first-floor and is attractively decorated with unique metallic tiles, presenting a bath with rain effect shower over, WC, sink and heated towel rail. 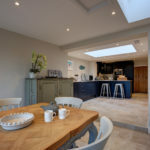 The French doors located in the dining area open onto the patio area in the rear garden, which is enclosed but not secure/dog proof. 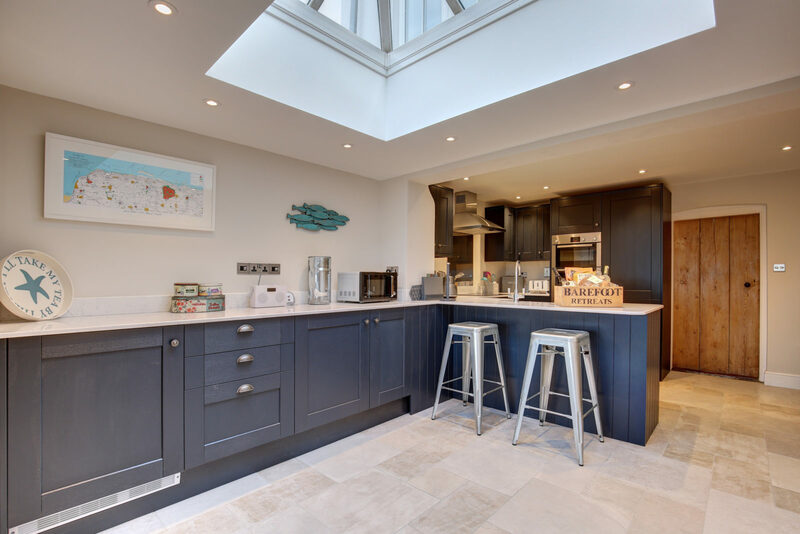 As you go down the garden there are shingle areas planted with shrubs and grasses, two separate decked areas and a storage shed. Venture between the hedges at the end and you will find an additional area with small trees and bushes with bark chipped flooring. The front of the property has a small area with a bricked path that weaves its way to the front door, bordered by pretty plants and shrubs. There is also a shingle path down the side of the house with access to the bins, oil tank and rear garden. There is roadside parking at the front of the property.